The figures below demonstrate what elements of Image Uploader can be changed and which properties are responsible for the changes. If you click the property name, you will get the reference description of this property. 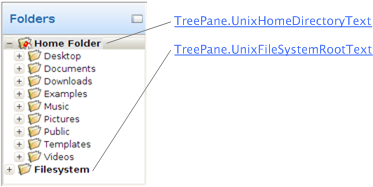 Tree pane is the folder tree allowing users to navigate their file system. Folder pane displays the content of the currently selected folder. 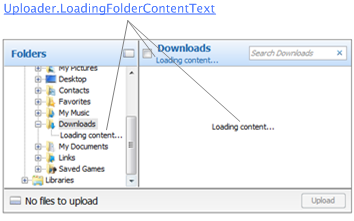 Upload pane contains files ready to be uploaded. 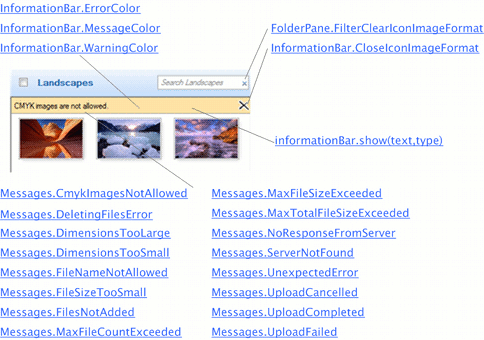 In one pane layout Image Uploader displays only the upload pane representing a list of files selected for upload. 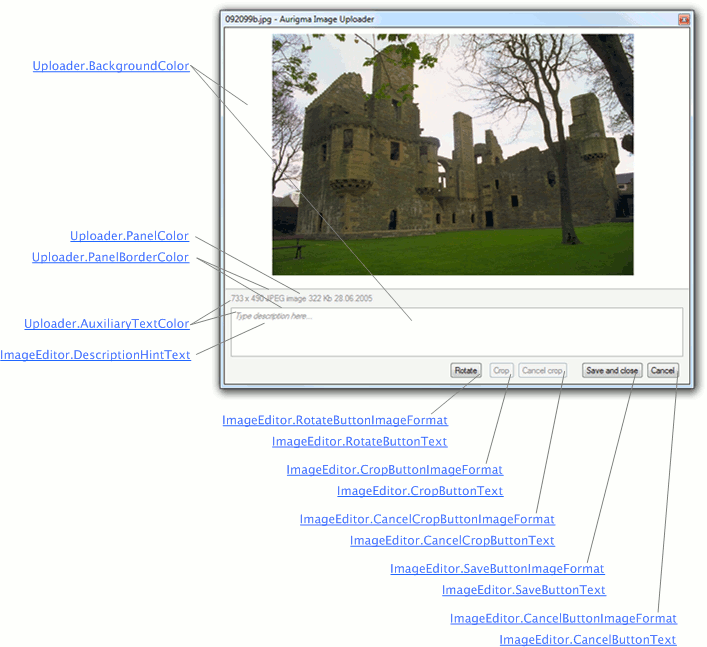 Image editor is intended to preview and edit images, and attach text descriptions. Thumbnail view can be used in the folder pane and upload panes and in both layouts. 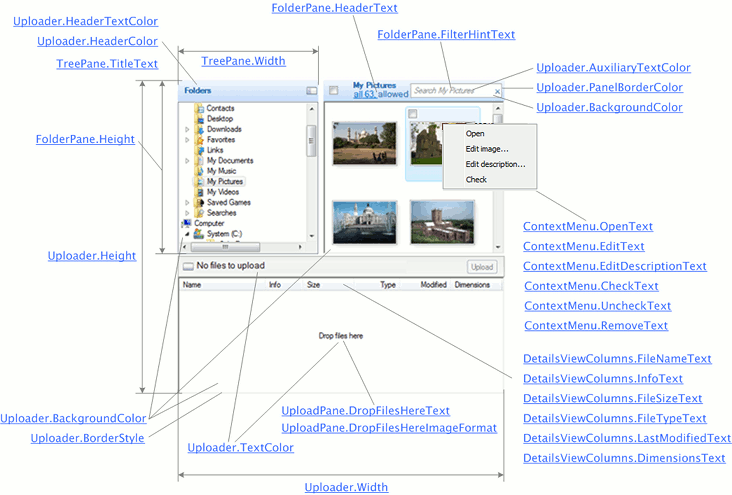 Tiles View is the most informative view; it can be used in the folder pane and upload panes and in both layouts. Quality meter appears in the thumbnails view and indicates which formats can be used for printing certain images. This dialog is displayed when a user selects a great many files. This dialog appears during the upload. It consists of a progress bar and status information. In the instant upload mode Image Uploader starts the upload process right after a user has added files to the upload pane. Information bar displays information, warning, and error messages. This dialog appears in non-Internet Explorer browsers when users should enter their credentials. 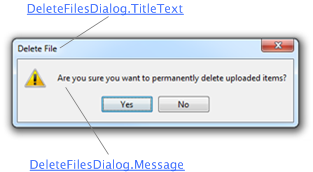 This dialog appears in non-Internet Explorer browsers and asks users to confirm that they really want to delete uploaded files. These labels are displayed while Image Uploader scans the folder content and builds the file list. The tree pane on *NIX operating systems is slightly different from the tree panes on other systems. For *NIX users, you can change text that labels the home directory and the root directory.